The first Bahá’í organization in Boston was founded in 1899. 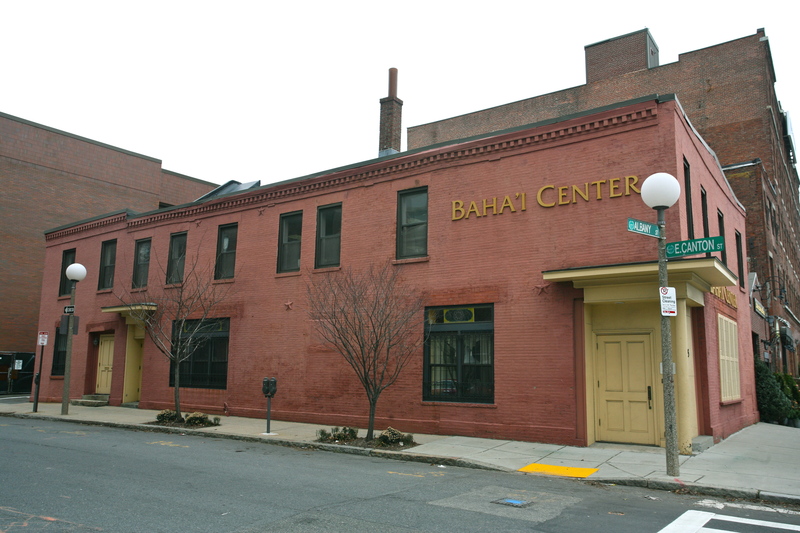 Over the past 100 years, the Baha’i community has expanded to include a dedicated religious center in the South End, several smaller groups throughout Greater Boston, and Bahá’í student clubs at local colleges and universities. The Bahá’í faith, guided by the writings of Baha’u’llah (1817-1892), centers on the unity and dignity of mankind across religious, social, ethnic, and geographic borders. In addition to attending regular devotional gatherings, Bahá’í practitioners often participate in educational outreach, social advocacy, and community building efforts to serve the entire Greater Boston community. The first Bahá’í in Boston, Mrs. Kate C. Ives, arrived to the city from Chicago in 1899. By 1905, the small band of Bahá’ís in Boston was holding regular meetings, and in 1908 the first Bahá’í governing board was elected. During His visit to the United States in 1912, ‘Abdu’l-Bahá, the son of Bahá’u’lláh, visited Boston and gave a series of addresses on various themes of spiritual import. ‘Abdu’l-Bahá’s visit provided a powerful impulse to the growth and activities of the burgeoning Bahá’í community in Greater Boston. During the first quarter of the twentieth century, the activities of the Boston Bahá’í community largely consisted of individuals hosting informational and study meetings in their homes. It was also common for the Boston community to welcome distinguished Bahá’ís from around the world to offer public addresses in municipal halls and at hotels, such as the Kensington on Boylston Street and the Victoria on Dartmouth Street. Several of these addresses were organized in collaboration with other religious organizations and societies, including the Tremont Temple Baptist Church in Boston and the St. Paul AME Church in Cambridge. 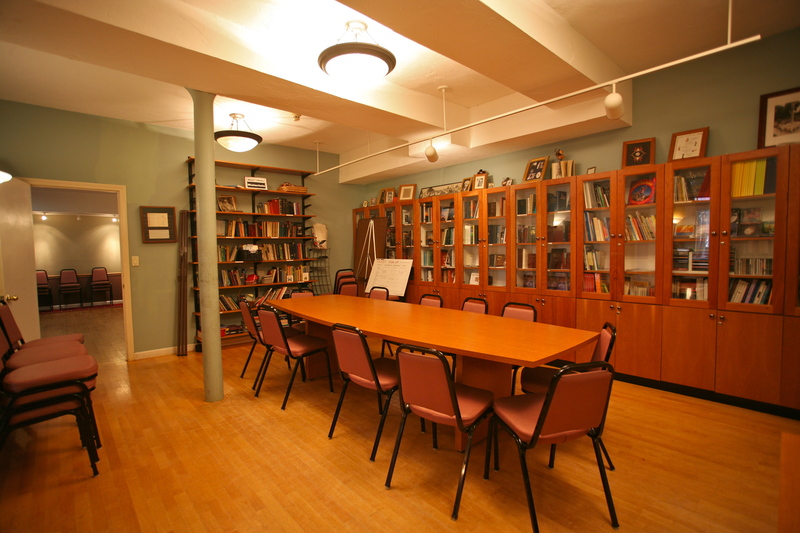 A community-wide Bahá’í Center was established in Boston in 1950 at 116 Commonwealth Avenue and was used to host weekly public meetings and youth gatherings. 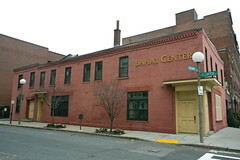 Since that time the Boston Bahá’í Center has moved to several other locations in Boston and is now located at 495 Albany Street. Today the Center serves the devotional, social, and administrative needs of the community. It is also the seat of the Local Spiritual Assembly of the Bahá’ís of Boston. There are Bahá’í student groups at several local colleges and universities, including Berklee College of Music, Boston University, Brandeis, Harvard-Radcliffe, M.I.T., Northeastern, Tufts, and Wellesley. Local Spiritual Assemblies, which are nine-member bodies elected annually from among the adult believers in every locality where at least nine Baha’is reside, serve as the governing bodies of all local Bahá’í communities and are a cornerstone of the Bahá’í Administrative Order. In Boston, the governing board established in 1908 was a precursor to the Local Spiritual Assembly, which was incorporated in 1940. In addition to Boston, today there are Local Spiritual Assemblies serving the Bahá’í communities in Brookline, Cambridge, Malden, Medford, Newton, Somerville, Waltham, and Watertown. Though the Boston Bahá’í Center hosts a variety of events and activities and the Local Spiritual Assemblies minister to the needs of the community, they are not the focus of Bahá’í life. Central to Bahá’í practice are daily prayer, observing a period of fasting, the independent investigation of truth, and adherence to high moral principles including trustworthiness, chastity, and honesty, avoidance of excessive materialism, partisan politics and backbiting, service to humanity, and the open exchange of viewpoints in an atmosphere of friendship and fellowship. The centerpiece of Bahá’í community life is the Nineteen Day Feast. Held once every 19 days, the Feast is the regular gathering that promotes and sustains the unity of the local Bahá’í community. The Feast always contains three elements: spiritual devotion, administrative consultation, and social fellowship. 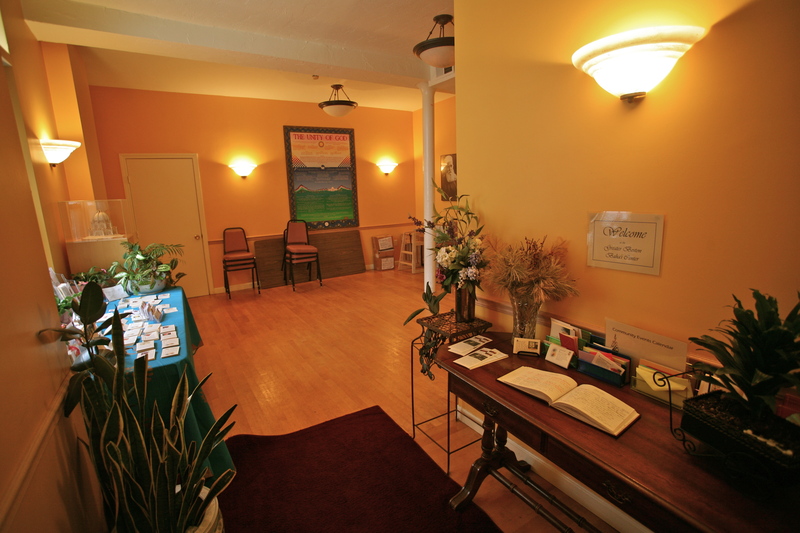 In Boston, the Feast is held at the Boston Bahá’í Center. Devotional gatherings are scheduled regularly for groups of people to come together in homes or community spaces to share a devotional spirit of joy, love, and fellowship. Bahá’í readings, along with those of other traditions, are provided and participants are encouraged to bring material they wish to share. There are no established rituals and no solicitation of funds. Study circles allow for small groups to engage in an in-depth, systematic study of the Bahá’í writings in order to comprehend textual meaning and find ways to apply the teachings to one’s daily life. Junior youth groups offer a setting for small groups of adolescents, led by a trained facilitator, to develop their spiritual perception, enhance their power of expression, form a strong moral identity, and carry out acts of service in their community. Children’s classes emphasize the moral and spiritual education of children, with a focus on providing ongoing opportunities for developing a sense of world citizenship and a lifelong commitment to serve humanity. Bahá’ís are encouraged to make home visits to anyone living in the Boston area. These visits are usually used as an opportunity to build relationships with people living in the community. People do not have to be Bahá’í to participate in any of these activities; they are open to all. Like Bahá’í communities all over the world, the Bahá’ís in Boston are working toward the aim of their faith: to unify humanity. The Bahá’í community in Greater Boston has a rich history of participating in and organizing interfaith community dialogues and events in the spirit of building unity across all types of social barriers, such as race, religion, class, and nationality. Today and in the coming years, their efforts are being channeled through the activities described above that, Bahá’ís believe, are fundamental building blocks in creating local communities and a global society bound together by the spiritual qualities of love, justice, knowledge, wisdom, trustworthiness, and truthfulness. The Bahá’í community in and around Boston will continue to work side by side with any and all who share this goal. ‘Abdu’l-Bahá. The Promulgation of Universal Peace: Talks Delivered by ‘Abdu’l-Bahá During His Visit to the United States and Canada in 1912, 3rd ed. Wilmette, IL: Bahá’í Publishing Trust, 2007. The Bahá’í Faith. (n.d.). The Rhythms and Routines of Bahá’í Communities. Retrieved, January 12, 2010, from http://info.bahai.org/article-1-6-0-3.html. The Bahá’ís of the United States. (n.d.). Administration. Retrieved, January 12, 2010, from http://bahai.us/administration. Rideout, Anise. (n.d.). Early History of the Bahá’í Community, Boston, Massachusetts. Unpublished paper. Stockman, Robert H. The Bahá’í Faith in America Volume 1: Origins, 1892-1900. Wilmette, IL: Bahá’í Publishing Trust, 1985. Ward, Allan, L. (1979). 239 Days: ‘Abdu’l-Bahá’s Journey in America. Wilmette, IL: Bahá’í Publishing Trust.